‘It’s 17 before 8’ uttered a hugely experienced broadcaster the other day; and one for whom I have huge respect. 'It's 14 minutes past the hour of 6 o clock'. Why do presenters have this obsession with over-complicating or oddly-phrasing something as simple as the time? They toil over translating it into a language unfamiliar to any citizen on earth. The rule should be simple: say it as if a response to a friend asking you the time. As with so many matters in radio, say it as you normally would. In real life, what do we say? ‘Just gone twenty past eight’. ‘Five to eight’. ‘Nearly half past eight’. As I began working to set up Lincs FM, the Chief Executive shared his list of obsessions with me – as CEOs are fully entitled so to do. He hated silly time-checks; and even went as far as spitting out his tea if he heard a digital time-check. Thus, it was never, ever 17.43 in Mablethorpe. Oh no. By 1967, Tony Blackburn appeared to have adopted his policy of only telling the time on the half minute. 'Its seventeen AND A HALF minutes past eight o clock'. He does it to this day. Mind you, Tony can do what he likes – his irony works. In a recent focus group I moderated, the topic of time-checks came up. Playing devil’s advocate, I suggested they might be redundant nowadays. Not least because we all carry phones with the time on display and alarms built in; digital radios show it even when in sleep mode; and, for goodness sake, even your cooker even tells you the time. 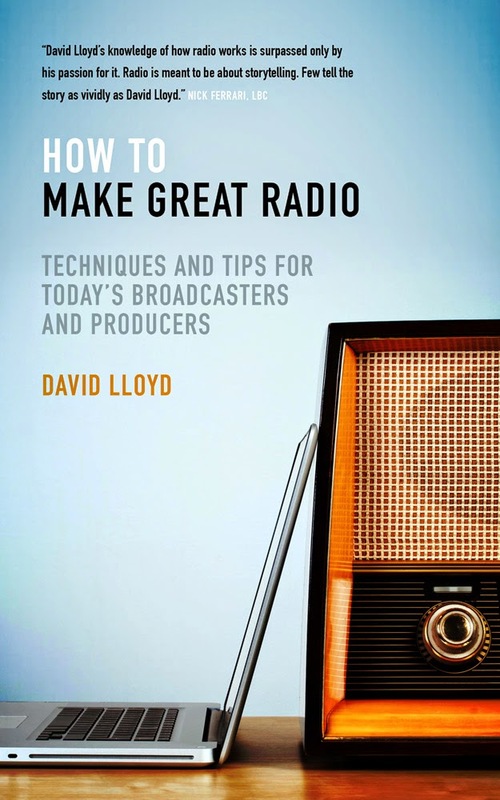 The assembled radio listeners were indignantly unanimous in valuing radio’s reassurance and gave me the impression that if the radio said it was ten past eight, and everything else suggested ten past seven, they’d believe the radio. That’s nice. I was then prompted to ask a similar question of 5000 listeners in one of our sporadic questionnaires last month, just to double-check that it remains correct to glare angrily at breakfast presenters who forget to mention the time. Maybe life has moved on, I mused. The result surprised me. 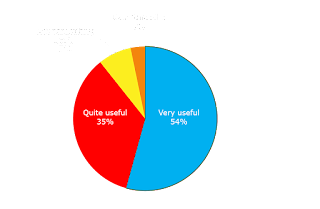 A majority deemed time-checks very useful and 89% found them very or quite useful.  Only 3% suggested they really were not needed. Listeners like their benchmarks vaguely on time too. Most stations have a policy on how far away from ‘on time’ you are allowed to be. Some are honest about it on-air: ‘it’s just after eight 'O clock’; or you might hear the journalist who’s been twiddling their thumbs for ages spitting out an angry: ‘It’s THREE minutes past eight’. 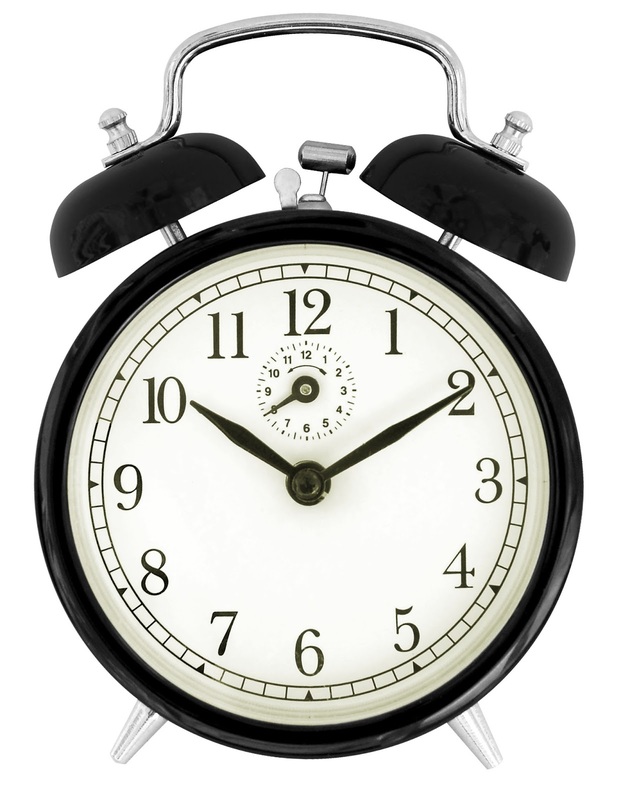 Some stations pretend it’s still 8 'O clock, when that time is but a distant memory. Then Pips sound nice, as does Big Ben. They make things sound terribly important. A sense of precision and accuracy, even though we know that buffered online listening and digital transmission now mean the pips can arrive in Mrs Miggins’s kitchen at about ten past. As above, it matters not really, a reasonably accurate steer is generally all you need. The Pips have been sounded since February the 5th 1924; a bright idea from good old Johnny Reith, who was not averse to precision. The Astronomer Royal, Sir Frank Watson Dyson, duly sorted out some mechanical clocks in the Royal Greenwich Observatory - after chatting it all over with the chap who invented the pendulum clock. Handy to have mates like that. Two clocks were used, in case one broke down. It’s the unique way they’re funded. Mind you, they only cost twenty quid each. The BBC generate the Pips from within Broadcasting House nowadays. If that gig ever gets pitched out for independent production, I’m going to turn up in the lobby of BH with my descant recorder. Thanks to talented James Cridland and cheery John Myers for reminding me about this matter, which is a notable and annoying absentee from any chapter in my book. But please, no more silly timechecks. And don't bother telling me it's the year 2015 either. I know that. Over dinner in my favourite Indian restaurant in Nottingham recently, I was rambling intolerably about 'my book' to one of my cynical but lovely radio friends. I told him I'd learned loads whilst writing it. '"What like? ", he asked, as he stuffed a naan bread in his face. So, when the Jiffy bag finally arrived from the publishers last week, bearing ten lovely-smelling first copies of my humble publication, I thumbed gingerly through the pages, to remind myself what I hadn't known when I started to write it. Every day in radio is a school day, not least when you're trying madly to justify, or disprove, those 'radio assumptions'. 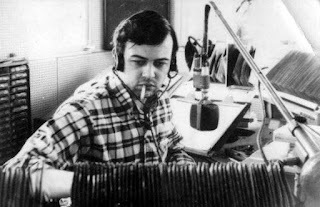 I thought I was the only competition cynic until I stumbled across the words of legendary American programmer, Bill Drake: "We did a lot of on-air promotions at KHJ, and we did almost none at KFRC in San Francisco. Both stations were successful". In his opinion, "most contests are garbage". He's surely right; far too many offer little in the way of witness value. They are either too demanding, too dull or too exclusive; with prizes seen as unattainable and mechanics focused on the minority taking part, not the majority listening. Gone are the days when the radio station was the only place you could win a decent prize. BBC Local Radio, which suspended contesting in the days when it was discredited, would likely concede that their stations are better without many of them. Cheers, Bill. Nice to stumble across substantiation for my prejudice. Isn't it annoying when 'major names' pop up on radio who fail to grasp the 'one listener' thing. That 'You' thing. They drone on about "anyone out there'" and getting my 'thinking caps' on. For goodness sake, anyone who knows anything about our great medium knows that the most important word is 'you'. 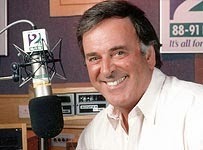 If it's good enough for Ken Bruce: 'People respond to one person – talking to them as one person’; and Wogan: ‘Radio engages because you talk to an individual’, it should be good enough for the rest of us. I also cite some early crackly recordings from the 'first' disc jockey, Christopher Stone, from 1927 who said in his show: 'I know you'd like to hear some more of that, and so would I". Almost a century ago, and at the very beginnings of our medium, he'd nailed it. Why do some newsreaders whine every sentence and inexplicably draw out the last word, regardless of its significance? Accomplished voice coach, Kate Lee, suggests that great reading is often about ‘sounding even more yourself ’. She observes how some readers appear almost intimidated by the importance of the material. Once they say to themselves ‘this is news’, she believes their brain then promptly ignores all all the natural nuances of conversation. Contemporary, conversational news delivery is a real art. Fascinated by the way the 'mood' in a studio can change what comes out the speakers the other end, it was great to hear the anecdote about a leading performer who used to play the Cagney & Lacey theme tune before starting his show. Off on that tangent, I then stumbled across how both David Cameron, and indeed Enoch Powell in his time, observed that a full bladder kept their mind alert and their speeches powerful. Maybe not one to try. I stumbled across some fascinating material about the voice and how it engages so well on radio. Including the theory that the 'disembodied voice' on the radio connects with the listener as does a mother's voice to a child in the womb. 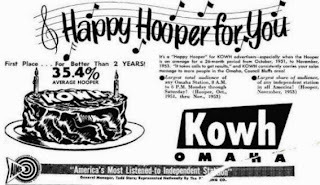 And who would not want to know the story of the birth of tight, Top 40 format radio in a bar in Omaha, Nebraska. Next time one of your listeners complains about hearing the same song over and over again, you'll want to know that tale too. And so the list goes on. I learned a little more about mic technique; commentary; interviewing; the psychological response to words; and getting callers on-air. I mused about dealing with over-enthusiastic listeners; spoke to some great producers; and delved into the use of social media. I stumbled across some brilliant old research about the relative merits of male and female voices; and I counted the words per minute which Wogan deployed as he said his last breakfast farewell. I was persuaded to add a chapter about how to get into our medium; and I volunteered another about how to keep your job. And some necessary caution on risk-taking, 'stunting', research, law and compliance. Given that text books are boring and the chances of any publisher agreeing to my autobiography are slim, I've littered the book with anecdotes from my lucky time in the business. Lest I forget the two occasions when the police have called into reception; Dale Winton's interview techniques; or the words of advice Mrs. Thatcher's daughter proffered on programme preparation. And there's the chapter about teasing. As every 'author' will understand, the awful thing about writing a book is that the second your work is despatched to the publisher, you think of something you should have included. Plus, last Autumn, no-one new what Perisope was. Things now change by the day in our great radio world. Many thanks to the likes of Matthew Bannister, Christian O'Connell, John Myers, Ben Cooper and Nick Ferrari for offering generous early reviews. What's useful is that they suggest it's by no means just a book for beginners. Radio is rarely a matter and wrong. Some of the greats break the rules brilliantly. And those who disagree with my mad assertions or theories will hopefully concede that the debate itself is likely helpful. Or they can write their own book. If it helps, please grab a copy at £14.99 (£10.99 e-book) from my friends at Biteback Publishing. Proceeds to the Radio Academy. Disc jockeys are meant to be heard not seen. But these pictures from the Getty archives really do sum up a time and a place. Enjoy here, one of the launch pics from the opening of Radio 1 in 1967. Sir Tony staring into the camera lens, griping onto a pair of those funny BBC headphones. And what a fine bit of woodwork there from the BBC joiner. Rosko was the rebel in those days, with his lunchtime show. Look, he's barely clothed here. John Dunn famously introduced his news bulletin in Rosko's show with: 'now the news. In English..."
And on the station's first birthday, the presenters famously gather feet away from Broadcasting House, to return to the steps of All Souls Church. For many of the characters, it is the closest they'll get to singing hymns. The assembly was a little diminished from the parallel shot a year before, not least because the fledgling Radio 1 policy was to hire everyone on four week contracts and see who worked out best. Canny approach. Down the road at Capital, in a rare 1973 shot in his office at Euston Tower, Chairman Richard Attenborough is likely none too pleased as he peruses the company's early accounts. And the early team at London's LBC were no strangers to challenging accounting. In this shot, a tech op watches as Janet Street-Porter and Paul Callan present 'two in the morning' (get it?) on that launch day in October 1973. I'd prefer to have been the tech-op, as he got to hammer the buttons on the ITC triple stacks. Commercial radio, in a fashion, had been heard in the UK much earlier, thanks to the wobbly signal from Radio Luxembourg, after it returned following the War. Its influence was sufficiently powerful to make stars of people like Pete Murray, later on Radio 2 and LBC. Even the Teddy Boys looked up to him. And Pete's suit looks a lot better than a sweat shirt with your name on which his descendants puzzlingly chose to wear. Back at Capital, surely 1974 mid morning host Michael Aspel does not surely need quite so many EQ channels on his mixer. And colleague, Kenny Everett, is evidently aghast at the contents of the Capital Radio manifesto. As Capital's Graham Dene celebrated 5 years with the station, a cake arrived. With Michael Aspel in it. 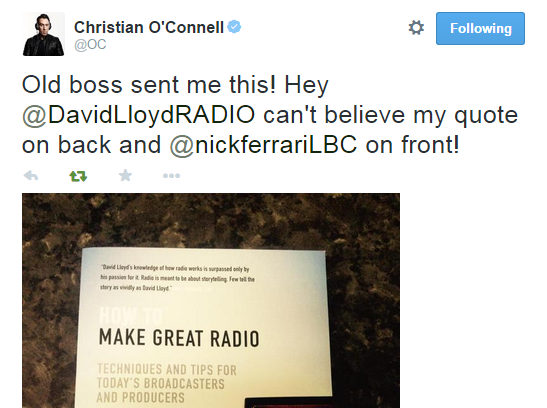 Thank goodness those rumours of radio being rife with back stabbers are false. Technics turntables were poised - alongside the classic Neve desk which was a stranger to PFL. Kid Jensen arrived in the UK from Radio Luxembourg in 1975, lodging at Nottingham's Radio Trent for a year before graduating to Radio 1. Here he is, in a novel pose. It is certainly better than clutching headphones, or pointing to an alarm clock or cheque. By 1976, the cult of Wogan had begun; and this talented Irishman began to relax and enjoy it. Just keep your feet away from those Gates turntables, Terry. They were truly the best. Surprisingly little audio exists of Chris Tarrant, despite his long rule at the Capital London helm. Maybe he was more of a listener's presenter than an anorak's - and there's little wrong with that. Thank goodness we have pictures though. Note how many more screens there are in this 2004 shot, compared with the 1960s BBC shots. Frank Phillips is the name of a BBC newsreader better known than many before him. Not least as it was Frank who became the first newsreader to announce his name. All part of making British broadcasts immediately recognisable as such in times of War. The habit stuck, and now every contributor of travel, weather, whatever commences their broadcast with a smile and a proud namecheck. Even though the War's over. You don't see many of those discussion booths now: minimalist acoustic rooms equipped with just a bouncy table, a mic and a talkback box, thanks to the show engineering happening 'through the glass'. Pete Murray enjoyed himself here in October 1970, with a pair of those dinky little BBC cans clipped to his 'earoles. The old BBC desks were industrial in style. Like cars before power steering, you had to pull these faders down with force when your needed the next jingle from the ITC cart machine. It was no problem for good old JY, even with the future PM looking on and crashing the vocal in February 1975. You can always tell a jingle anorak when they concentrate more on the cart labels in a pic rather than the person pictured. Try this Radio 1 shot from the early eighties. Ignore Adrian Juste at your peril, though. Thanks to all the photographers through the ages who have patiently witnessed our medium. We are grateful. One final shot. How delicious is this. As the BBC moved premises in 1932 from Savoy Hill to the newly built Broadcasting House, a photographer paused to film the removal men at work. But why has than man got a crate on his head. And who is in the coffin?